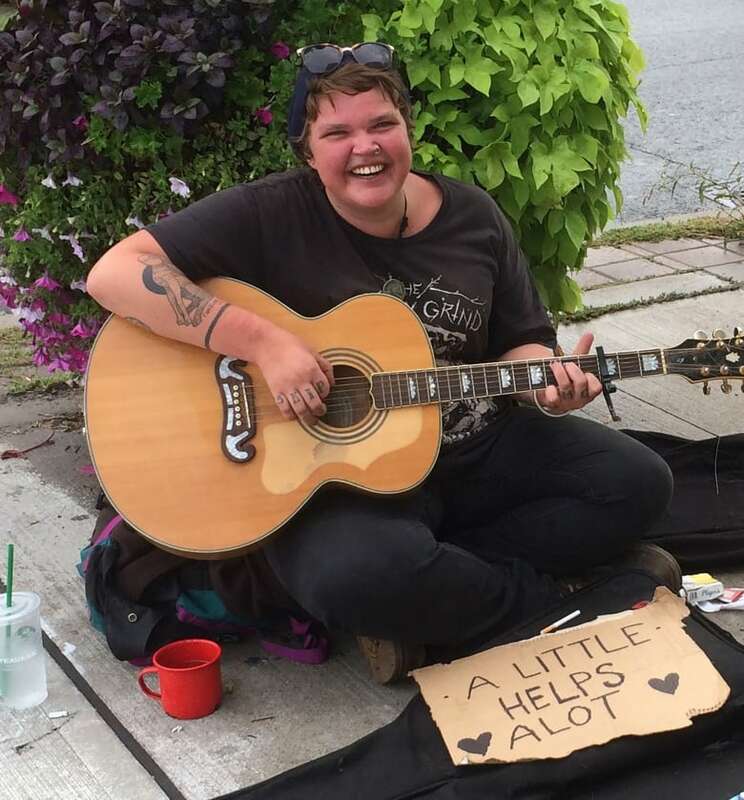 Sarah Vee was a talented young busker who lived on the streets. Now her mother, Karen Valiunas, invites other young people who live on the street for a home-cooked dinner every Friday, as a way to connect with her daughter. Bob Keating's documentary is called, "The Universe is a Friendly Place." 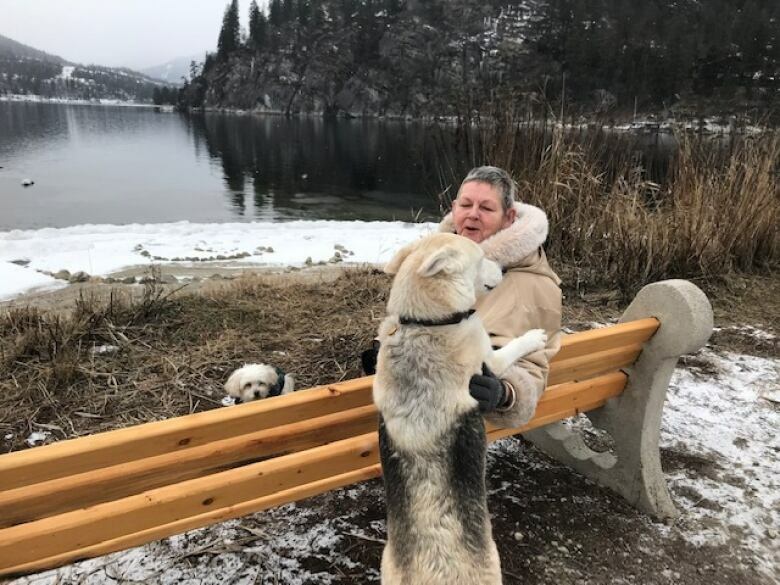 A year ago, Karen Valiunas might have not have welcomed a group of young travellers, their dogs and guitars in tow. Now, these people are her lifeline. They are friends of her late daughter, Sarah. And hosting a dinner for them has become a weekly tradition for Valiunas. "The dinners are very important for Karen and for us. Learning to share grief is hard, but you need to," said Katie Dyck, who was good friends with Sarah. Sarah Valiunas, who went by Sarah Vee, died of a fentanyl overdose in August 2018. CBC reporter Bob Keating produced a Sunday Edition documentary about her life a few months later. Sarah was a gifted musician -- a singer who chose a life of travel and transience. It worried her mother greatly but brought Sarah incredible happiness. She and her husky Canoe hitch-hiked and busked across the country, making friends at every stop along the way. After she lost her partner to a fentanyl overdose, Sarah didn't recover. She died shortly after, to the devastation of her family and friends all over Canada. 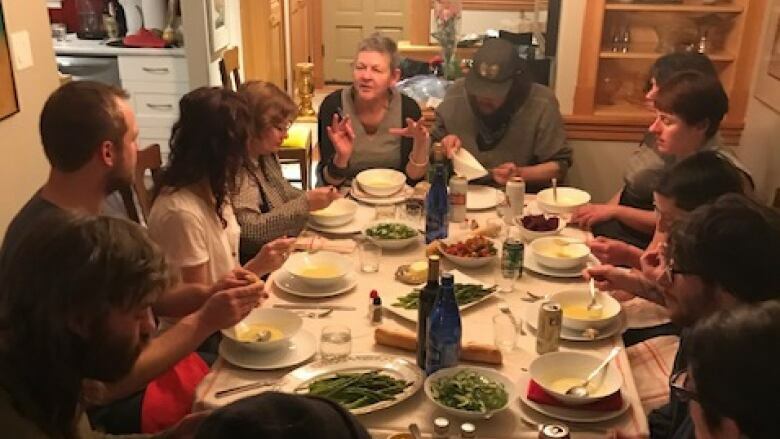 More than six months later, many of those friends join her mother, Karen Valiunas every week to remember Sarah, enjoy a home-cooked meal, play music and grieve together. 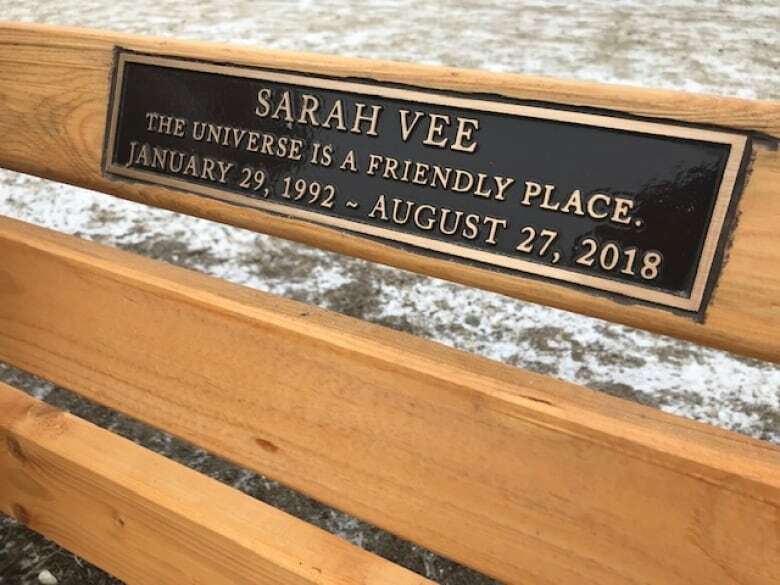 "[Karen] loves everybody like we're her kids … The fact that she, in Sarah's honour basically, just opens up her arms and welcomes everybody in, is special," said Alison Nagy, a fellow traveller and friend of Sarah's. Though this newfound and powerful sense of community has been healing for Valiunas, some days it's still hard for her to get out of bed. That's when she draws on Sarah's legacy of unflinching optimism. "She had tattooed on her chest: 'The universe is a friendly place.'" Valiunas is also seeking help from a counsellor to help her navigate the grieving process. In the meantime, the dinners are the highlight of her week. They bring her comfort and catharsis. "It means a lot to me that you're all here," Valiunas told her dinner guests. "I need to cry sometimes with you and talk and share my feelings and what I'm going through … I think Sarah's probably really happy that we come together and that you are part of my life now — my family," she added.